A nine-part radio series featuring the experiences of two African-American women, Erma Bridgewater of Champaign and Ruby Hunt of Urbana.The radio stories are part of a larger series of interviews with four local African-American women who shared their life experiences in 2005 and 2006 with eight Youth Media Workshop participants from Franklin Middle School. The students were trained in the techniques of immersion journalism by Leon Dash, professor of journalism, at Illinois. The students interviewed each woman seven times asking them about growing up in their family, their school and church experiences and their transition into adulthood. More than 60 hours of interviews were obtained. U of I graduate journalism student Keri Carpenter, who helped mentor the youth, turned the interviews into the I Remember, I Believe radio series. Participating students were Lalaina Smith, Amaris Bailey, Isis Griffin, Gabrielle Ceaser, Brooke Harris, Keneasha Terry, Kahlilah Cook and Kayla Carter. 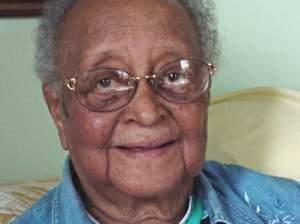 The students interviewed Fannie Taylor, Erma Bridgewater, Catherine Hogue and Ruby Hunt. Erma Bridgewater of Champaign, Illinois remembers how Emmett TIll's death affected her. Emmett Louis "Bobo" Till was an African American boy from Chicago, Illinois, who was murdered at the age of 14 in Money, Mississippi, a small town in the state's Delta region, after reportedly whistling at a white woman. The murder of Emmett Till was noted as one of the leading events that motivated the American Civil Rights Movement. The main suspects were acquitted, but later admitted to the murder. Erma Bridgewater of Champaign, Illinois recalls open racial discrimination growing up. Ruby Hunt of Urbana, Illinois talks with Franklin Middle School students about segregation then and now.